Patient portals are healthcare related websites that enable 24-hour personal health services to patients across the globe. These portals also schedule appointments and proper communication with healthcare professionals with a secure patient access. Patient portals are connected to electronic health records (EHRs) which is a digital version of a patient’s paper report and a patient can access it by using a personal and secure username and password. Through patient portals, a patient can know about various health information like recent doctor visits, medications, allergies, discharge summaries and lab results. Some patient portals also allow the patient to request prescription refills, securely message their doctor, check benefits and coverage, make secure payments, view educational materials, schedule non-urgent appointments with doctors, check benefits and coverage, download and complete forms and update their contact information. Patient portals are working like a boon for those people who are living a hectic life and usually does not get time to keep themselves fit and healthy, with the help of these portals they can monitor their health and take care of themselves accordingly. These portals can save a lot of time of a person, with the help of patient portals the patient or anyone can easily communicate with the doctor without actually waiting in a queue for hours even after appointments. Accessing these portals is an easy task, they are online based websites and can be accessed through web browsers or their respective mobile applications. To ensure the patient’s privacy and security all the healthcare information of the patient can only be accessed after a secure login with personal credentials. As these portals provide self-serve healthcare services so it is a necessity that every patient can understand their healthcare report without the need of visiting a doctor for the explanation of that report and to achieve this obstacle, all the data and records of a person from the database are converted into laymen words. Patient portals are beneficial in many ways like these portals constantly keeps reminding a person about his upcoming appointments through emails so that they do not forget to show up at the clinic for their healthcare services. Patient portals have increased and improved communication between a doctor and patient, mutual understanding of doctor and patient, and reporting of symptoms to the doctor by the patient which results in proper engagement of doctor and patient and helps them for proactive healthcare. 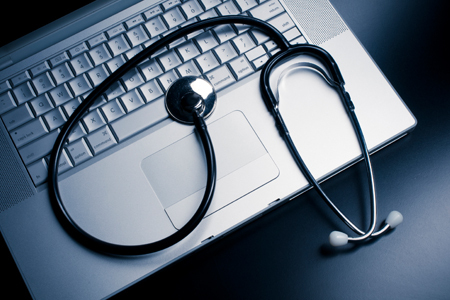 Patient portals are the future of the healthcare services.